Seeing cute, adorable socks in the mall, on the streets, or even on someone else (lol!) instantly brightens up my day. I don't know what it is with me and socks, but this happens every time. I don't know any brand that specializes in fun, colorful socks, until Happy Socks arrived. Happy Socks, a Swedish brand, is all about turning that everyday essential into a colorful addition to your wardrobe, ultimately spreading happiness. The media launch was named #100HappyActs, and you'll soon find out why! Click the button below to see the rest of the post. Before entering we had to remove our shoes and choose a pair of socks to wear inside the place. There were lots of colorful pairs to choose from! My favorites would probably be the argyle and polka dotted ones. 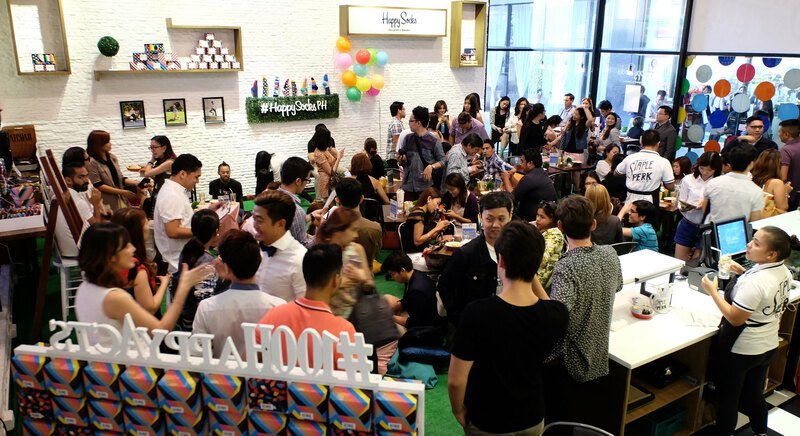 Staple and Perk Bakery, where the launch took place, was filled with colorful decor. The place was oozing with positive vibes! Near the entrance, there was even a sign that said 'Welcome to Happiness!'. 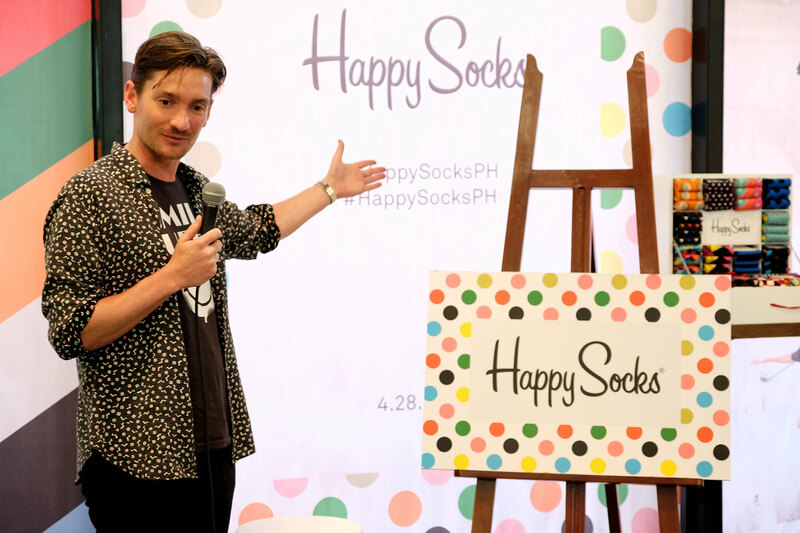 Jonathan Larsson, the International Representative for Asia, told the crowd about the beginnings of Happy Socks and how it came to run stores in 70 countries in a span of just five years. 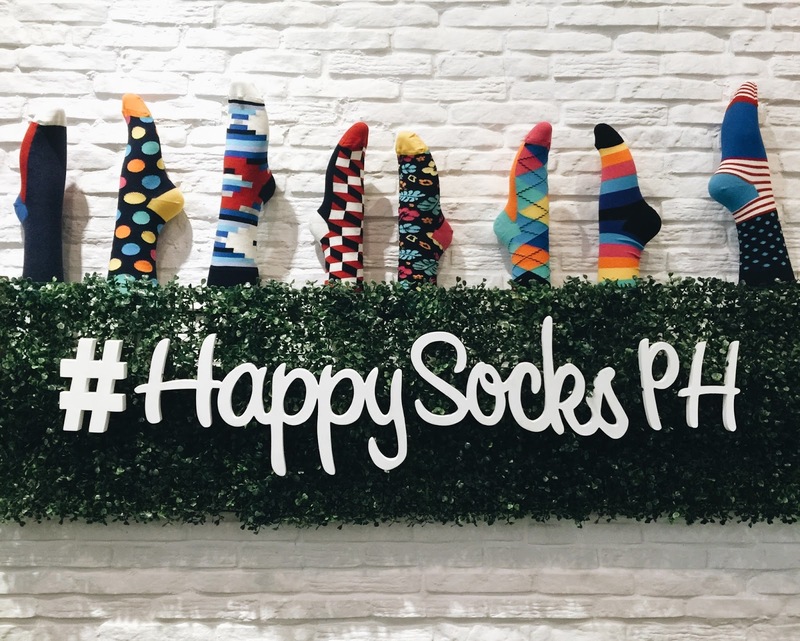 Next, everyone was asked to spread the happiness by getting a box from the happiness wall, which was filled with 100 boxes of Happy Socks. Each box contained three pairs: one for us, and two for loved ones, to be given together with a random act of happiness. I've already given a pair to a loved one, but the other pair has to wait. It's for a baby and he or she hasn't been born yet!